by Sara My dad bakes all the birthday cakes for our boys. He started baking cakes for the boys when the firefighter turned 2. He has made a train, a front loader, a guitar, a milk tanker truck*, a camera (someone turned 30 this year), and a dinosaur. Our family and friends have come to anticipate a different cake at every party. He scours the Internet and books for ideas but now also has to appeal to the whims of the firefighter, who is 4, and likes to choose* the shape of his cake. Last year on my dad's birthday we made an aquarium cake. We wanted to do something special for our master cake creator. Plus, every so often, I like to show off my domesticity to my family. We recently celebrated my dad's birthday and it was up to the firefighter and I to make him a cake. I will admit to using a cake mix. 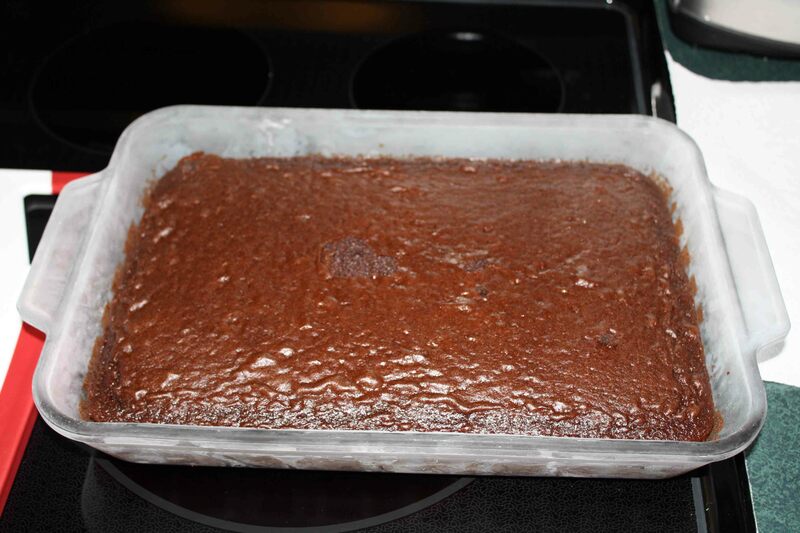 We prepared it according to the instructions but substituted 1/2 cup of applesauce for the 1/2 cup of oil. After baking the cake I froze it so that it would be easier to carve and ice. 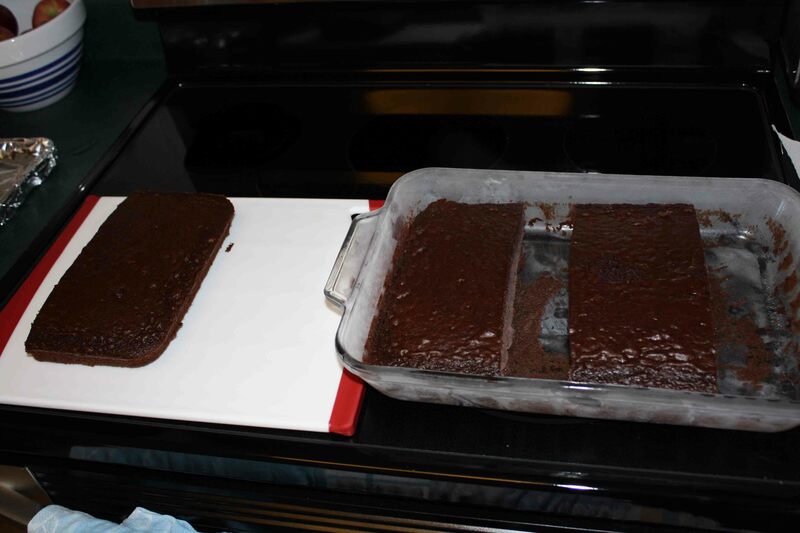 Once the cake was frozen I cut it into three sections. You have to work fairly quickly because it becomes more difficult to ice the cake as it thaws (bits of cake pull of with the icing). 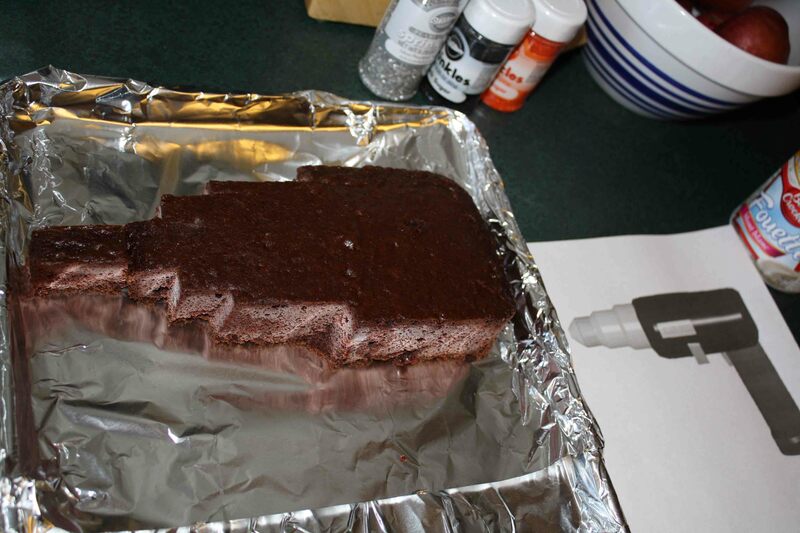 We looked online for tool cake templates but couldn't find any. 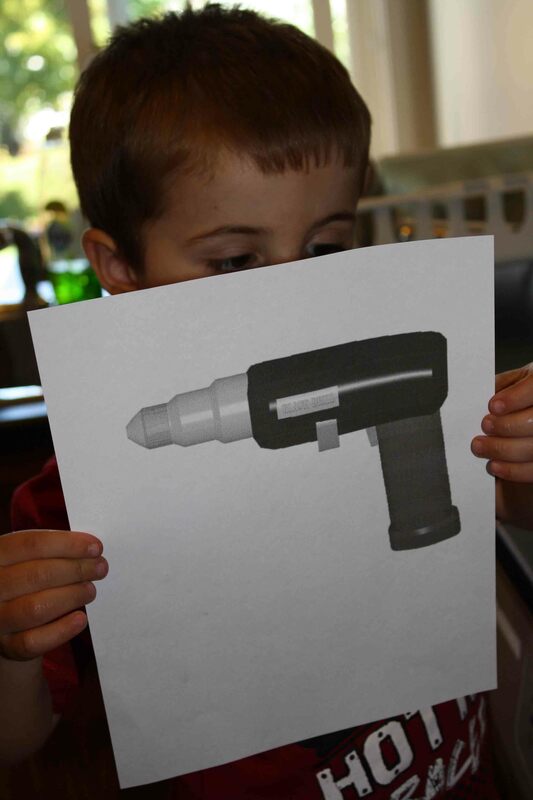 Instead I found a simple clip art picture of a drill, enlarged it, and then printed it. 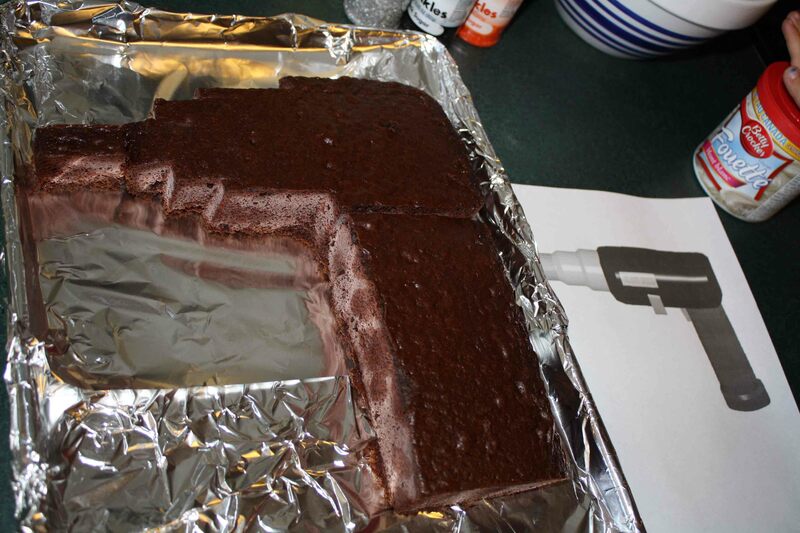 I used each of the three sections of the cake for each section of the drill. With the picture nearby I used a knife to cut the cake free-hand. The firefighter stayed close-by to eat the cut-off bits of cake. ....we added a battery pack! The firefighter had chosen sprinkles the day before so after icing the cake we did our best to replicate the different components of the drill. It took us less than half an hour to assemble and decorate the cake and Grandpa was thrilled with our creation. And quite impressed at my ability to 'wing' cake creation and decorating. Have you ever designed and created your own theme cake? Sara is mom to 4-year-old ” firefighter” and 2-year-old “monkey”. You can find her at her blog, My Points of View.